US prosecutors asked a judge on Monday to sentence a Syrian arms dealer convicted of conspiring to sell weapons worth $1 million to Colombian rebels to decades in prison. Monzer Al Kassar, 63, described by prosecutors as one of the world’s most prolific arms dealers, was convicted in November of agreeing to sell weapons to the Revolutionary Armed Forces of Colombia, or FARC, to protect a cocaine-trafficking business and attack US interests.Kassar, a longtime resident of Spain known as the ‘Prince of Marbella’ for his lifestyle in the glitzy seaside town, will be sentenced in Manhattan federal court on Tuesday, along with Felipe Moreno Godoy, a Chilean, 59.Kassar was extradited after Spain received assurances from US authorities he would face neither the death penalty nor a life sentence without chance of parole.In a sentencing memo on Monday, prosecutors asked for Kassar to serve a prison sentence ‘substantially in excess’ of the 25-year minimum he faces, but ‘less than life.’‘From his palatial estate along Spain’s Costa del Sol, Al Kassar commanded an arms trafficking network of criminal associates and front bank accounts that spanned the globe,’ the memo said.In this case, the memo said, he agreed to supply 12,000 weapons to the FARC, which ‘he believed intended to use the arms to kill Americans.’Kassar’s defense lawyers, who argued during the trial he was a legitimate arms dealer, asked in separate court papers for a sentence of 25 years, the minimum he can receive.‘There were crimes of greed, not crimes of terrorism,’ said the lawyers. ‘All this for a crime-really, a DEA sting operation-in which nobody was harmed,’ they said, referring to the US Drug Enforcement Administration. Kassar ‘will likely die in prison in a foreign country ... thousands of miles from his wife and children,’ the lawyers said.The prosecution case was based largely on evidence gathered by two undercover operatives who posed as FARC arms buyers and videotaped negotiations in Spain with Kassar and Moreno.Both were convicted on a host of charges including arms sales, conspiracy to kill US officials, conspiracy to aid a terrorist organization and money-laundering.The US embassy in Madrid said Kassar had been selling weapons since the 1970s to the Palestinian Liberation Front and clients in Nicaragua, Bosnia, Croatia, Iran, Iraq and Somalia. Networks of stolen luxury vehicles has been broken up by the authorities in Málaga. EFE news agency reports that there are 15 people arrested and five more indicted in the case so far.It seems that the gang were supported by a group of discotheque and bars doormen on the Costa del Sol, who offered clubbers the vehicles.The gang removed chassis numbers and faked documents to go with the vehicles and the total amount of assets now embargoed by the police has been estimated at 26 million €. Some of the vehicles were allegedly set on fire or lost so that money was also claimed on insurance, when in fact they continued on the road under a new identity.Four homes were searched in Málaga province as part of the operation, and ten cars have been embargoed. The case is being organised by the Instruction Court Four in Torremolinos.There is no detail as yet on the nationalities of those detained. Two alleged drug traffickers have drowned off the coast of Sotogrande, and another person was found suffering from severe hypothermia as the Guardia Civil broke up a drug running operation off the luxury urbanisation on Tuesday.It’s thought the three were trying to bring some 350 kilos of hashish onto the Spanish coast. 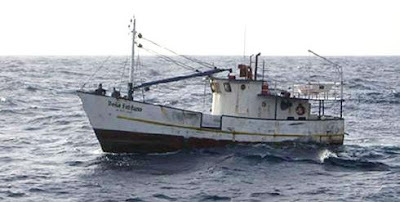 The survivor was first spotted walking along the coast in wet clothes, and a further search revealed the 7 meter semi-rigid boat containing the drug in 11 bales. The first body, carrying Moroccan documents, was a few metres away and the second was found on Wednesday morning some 400m from the Tiburón beach.On Tuesday afternoon Guardia Civil officers patrolling the coast in Sotogrande came across a disorientated Moroccan man walking around in wet clothes. Officers suspected that the man had recently disembarked from a boat and set about searching the area. They found a seven metre long boat in the mouth of the Guadiaro river and discovered the dead body of another Moroccan citizen floating in the water some metres away. It appears that the strong tide and the eleven packets of hashish on board, which weighed some 350 kilos in total, made the boat capsize.After a more in-depth search of the coast, the Guardia Civil found the body of a second person at 9 o'clock on Wednesday morning some 400 metres from the Tiburón beach. The authorities are trying to identify the victim. Gary’s dad Stephen is set to travel to Spain to sign the power of attorney document allowing the body’s long-awaited release.He will go to Malaga hospital where his son’s body is being kept and wait as the remains are placed in a zinc coffin. 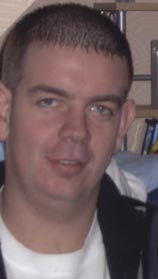 The family must hand over a cheque for £10,000 to the Spanish authorities to complete the repatriation.Plans are underway to arrange the final farewell to Gary Dunne, 22, of West Derby, who was murdered on the Costa Del Sol by a machete-wielding killer.After a long delay due to Spanish hygiene laws, it seems certain the Everton fan’s body will be back in Merseyside in the next fortnight.Church officials have now agreed to allow his long-awaited funeral to be held at the cathedral.It is rare for the stunning building to be used for public funerals and last happened for 11-year-old Rhys Jones. Seven properties in Sotogrande belonging to people or companies forming part of the investigation in to corruption being carried out by Spanish High Court judge Baltasar Garzón have been impounded. Francisco Correa, the suspected mastermind in the scam which has engulfed the Partido Popular, was arrested last Friday at his Sotogrande home and transferred by police to Madrid. Lex Life over hundred Marbella residents, the majority of them Britons, could lose their homes after an alleged 40 million euros Icelandic bank fraud. Over hundred Marbella residents, the majority of them Britons, could lose their homes after an alleged 40 million euros Icelandic bank fraud.The case is being investigated by San Roque court although the majority of victims are in Marbella. It centres on the Icelandic bank Landsbanki that was recently nationalised in the world financial crisis and its Luxembourg subsidiary Landsbanki Luxembourg SA which is in liquidation and has suspended payments. These along with the Luxembourg insurance company, Lex Life and Pension SA, have been denounced for deceitful publicity and fraud by the law firm Martínez-Echevarría, Pérez y Ferrero that is representing 28 of those affected, all foreign residents in Spain. The lawyers believe that the number of those affected is over 100. Amongst those included in the legal action are three investment advisors operating on the Costa del Sol and dedicated to serving Britons in Spain. Britons are said to be the highest nationality group affected and include pensioners and the owners of properties of high value.It was back in 2004 that investment advisors started to sell to the British market on the Costa del Sol a financial product of an insurance company for a Luxembourg subsidiary of the Icelandic bank. It guaranteed the mortgage of the property owners. It consisted of a mortgage on the property of around half a million euros in each case and invested this money in financial products not only to pay the capital interest on the loans but also to earn additional income. The clients were lured by the offer that the loan was self-financing with zero risk and secure income. In the event none of these promises were true. The offer was widely marketed in the English media on the coast. Those taking out the products were also assured that should the title holder die it would reduce the tax liability of the heirs. The lawyers bringing the action stress that in Spanish law such a device was not possible and hence the offer was a fraud. Indeed the scheme offered to Britons on the coast had been illegal in the UK since 1990. Under the terms of the Landsbanki equity release scheme, borrowers could take a quarter of what they raised in cash, but had to put three-quarters in an investment fund run by Landsbanki. The Costa del Sol Action Group that fights against financial fraud and mis-selling on the coast warns on its website: “One such project that Landsbanki are involved in is the short term lending currently being advertised erroneously in Spain as “equity release” (the ads talk of reductions in Spanish succession tax and then the borrower is persuaded to enter into a renewable 5 year loan i.e. renewable at the bank’s discretion).”Thanks to the success of the marketing campaign in 2006 the bank opened an information office in Nueva Andalucía. From there all monies were channelled to Luxembourg. The lawyers again say that the capital had not been insured and even less so the auto-financing scheme and the amounts that were paid in lost value. The tragic result is that with the collapse of the Luxembourg based bank those who entered this scheme are left without any cover and are in danger of loosing their homes. Not surprisingly the bank has closed its office in Marbella and cut all communications with its clients. German has been detained in Vejer by the organised crime and drugs squad of the National Police on an international arrest warrant in the town of Memmingen. It is stated that he has evaded justice in his home country since 2002 when he was convicted in selling hashish and for threatening police with a knife when they attempted to apprehend him. National Police have broken up a network which defrauded four million € from 70 businessmen in Spain, Portugal and Holland. National Police have broken up a network which defrauded four million € from 70 businessmen in Spain, Portugal and Holland. They caught out their victims by saying that they were businessmen representing Italian investors and offered loans for a share in the profits. Six arrests have been made, four of them in Marbella, one in Ibiza and another in Alicante, according to a police statement. 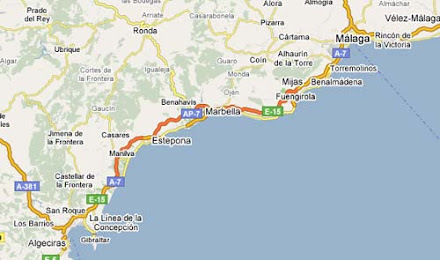 The fraudsters set up a group of companies, based in Marbella, but with links to Alicante, Ibiza and Barcelona. Before the victims signed the contract they had to pay some costs and what was described as for insurance on the money requested.As part of the operation police have embargoed four properties worth more than a million €, together with several top of the range cars, and blocked 400,000 € in current bank accounts. 13 people have been arrested by the Guardia Civil in Valencia after a violent theft of drugs which they later sold on.A statement from the Civil Guard says that in some of the thefts the accused dressed up as Guardia Civil. The operation started on Feb 7 with the arrest of two women and four men, one of whom is implicated in an attempted murder in Benetússer, Valencia. Three kilos of marihuana has been recovered in the operation and one of the arrests was made inside the Albocàsser jail. It seems part of the stolen drugs were introduced into the prison by family members. Investigations in the case continue. Two notaries and a bank manager have been arrested and are indicted to appear before the courts in Paterna. A financial fraud from two fraudsters could see some 600 families being left without their homes in the Valencia region. Two of the men acted as money sharks and offered loans, but only taking property as security, and charged far more money than what was officially signed at the notary.The police say they have already stopped one of the people affected by the fraud from taking his own life by jumping in front of a train because of the case. The names used by the financiers were Hipoval and Renew House, both registered in Valencia. Newspaper, Las Provincias, reports that the alleged fraud now amounts to 10 million € and the number of people affected is already more than 1,000.
body has been found in a home in the La Carolina urbanisation in Marbella. The victim is a 68 year old Iraqui man who had been stabbed to death and who becomes the second violent death in less than a month in the area, following the express kidnapping and death of local businessman Fernando Moreno.Sources at the Government Sub Delegation offices in Málaga told the EFE news agency that the body in La Carolina was found at 11am today, and that the National Police has opened an investigation with all options open. Two cocaine laboratories have been broken up by the police in Alicante and Murcia. Two cocaine laboratories have been broken up by the police in Alicante and Murcia. Seven people have been arrested as part of the operation in Alicante, Elda, Sax, Orihuela, Beniel and Cabezo de Torres. More than three kilos of cocaine were recovered with 2 kilos of a substance to cut the drug and 47,000 € in cash. Two Moroccan courts Monday began hearing suspects after one of the country's biggest drug swoops netted about 100 people, a source close to the investigation said. A military court in Rabat started questioning some 70 members of the army and police force, while 30 civilians began appearing before a Casablanca court. The detainees were suspected of drug trafficking, corruption and failing to report criminal offences. The network smuggled drugs from the northern city of Nador to Spain and other European countries, the source said. He described the arrests, which began in January, as a big blow to drug trafficking in Morocco. The north African country is the world's second biggest hashish producer after Afghanistan. Two Poles detained in Malaga, southern Spain, in 2007, on charges of drug trafficking and crimes committed against social welfare will face over 23 years in prison. The Poles were sentenced in Spanish courts today.The convicts will also have to pay penalties - the first of them amounting to 750,000 euro and the second 150,000 euro.The Polish drug dealers, who headed a gang, were detained within the so-called ‘Scorpio action,’ when police rooted out the main amphetamine distribution plant on Costa del Sol, southern Spain in 2007. The men were found to have in their car a bag with 10,000 ecstasy pills. When the men’s homes were searched for drugs, it turned out there were some 60,000 more pills there.The Poles also frequented public houses, where they established connections with other drug traffickers. Their cars, stolen in other European countries, had forged license plates. Violent British gang based in Mijas. The gang are called Pancake after their Liverpudlian leader, according to La Opinión de Málaga today. 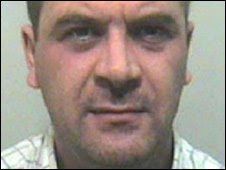 A violent British gang which has been carrying out extortion of local businessmen on the Costa del Sol has been linked to several shooting incidents.The group is known as ‘Pancake’, because it is allegedly led by the known British criminal referred to as ‘Pancake the scouser’, and is involved in drug trafficking and carrying out assassinations in Málaga province. Most of the members are originally from Liverpool and Manchester.La Opinión de Málaga reports that the group controlled four houses in Urbanisation Jacaranda in Mijas, and that there are at least five members known to the authorities.The shooting at Nikki Beach last year has been linked to the gang which is under investigation by the UDYCO, organized crime and drug unit of the police. Several witnesses at the scene identified ‘Pancake the Scouser’ as the shooter there last summer.The gang is also linked to the Puerto Banús shooting last summer and to the shooting of an Irishman at the Aloha Garden bar. Spanish National Police have broken up what they describe as a military group of 25 people who dedicated their time to robbing from shops and homes across the country. The arrests of the group, all Romanians, were made in Madrid, Valencia and on the Balearic Islands.Police say they had a network of spies who would first identify possible targets to be burgled, while another part of the group would set up a security cordon round the site when the theft was taking place. Police say they acted across the country and had frequency inhibitors to block alarms and ultrasound devices to deal with guard dogs.Investigations started in the Valencia region and the alleged head of the gang was detained as he was trying to board a plane from Madrid back to Romania. He was carrying 24,000 € cash at the time. Gary Richard Stephens was found guilty of killing Jonathan Robert O'Neill by hitting him around the head with a hammer, after discovering he was having an affair with his wife.A British man, Gary Richard Stephens, has been sentenced to nine years in prison by the Provincial Court in Murcia, found guilty by a jury of beating his business partner to death with a hammer.It happened in November 2005 in the Playasol urbanisation in Mazarrón, which the two men were promoting.The magistrate, Álvaro Castaño gave his sentence, saying it was lower than normal as he had taken account of the fact that the man had acted in a fit of jealousy after he had just discovered that his business partner had started an affair with his wife, making the discovery by reading a text message on his partner’s mobile phone.Stephens pleaded guilty of killing his partner, Jonathan Robert O’Neill. After carrying out the killing he pretended to be his now dead partner, and sent several SMS messages from his phone saying he was going on a trip. He then buried the body in cement at the urbanisation the two men had been promoting.Stephens himself was finally arrested on December 6 2005 in Naples, after earlier lying low in the U.K. Still no sign of the 17 year old girl who has gone missing from Sevilla.National Police have opened an investigation into the whereabouts of Marta del Castillo Casanueva, who was last heard from when she left home last Saturday afternoon to visit friends.Her uncle Javier told the press she left home about 5pm and one of her friends said the dropped her off at the door to her home at 9,30pm. However she never made it inside. Her mobile phone is ‘switched off or out of coverage’. Eva Casanueva, the mother of the 17 year old Marta del Castillo, who vanished from Sevilla nine days ago, has spent most of that time in bed just waiting for news. On Monday she made the effort to attend to the questions of the media. There are no firm clues to go on, although rumours that the boy who said he dropped Marta off at her home on the Saturday night is under suspicion. An expert dog has indicated that the clues may be in the Triana part of the city, where Marta spent Saturday afternoon with friends before she disappeared.Meanwhile her uncle, Javier Casanueva, who is acting as family spokesman, has complained to the press that neither the Prime Minister, nor the Minister for the Interior have called the family. Search is underway for two girls aged 14 and 12 who have gone missing from their homes in Valencia and Torrent. Search is underway for two girls aged 14 and 12 who have gone missing from their homes in Valencia and Torrent. It’s not thought that the two know each other, but both went missing after failing to return from school. The 14 year old is missing since last Monday and the 12 year old who is Brazilian, has been missing since Friday.The mother of the 14 year old said she thinks her daughter has gone off with an Ecuadorian, who is now believed to be a member of the Latin King Junior gang. She denies claims that she kicked her daughter and her boyfriend out of the house. The 12 year old vanished when heading home from the Veles e Vents Institute in Torrent on Friday. Classmates say she was in class, but has not been seen since. Six britons arrested for Costa del Sol timeshare scam The six, a manager and five telesales operators have not been named. National Police from Málaga have arrested six British people in Fuengirola for defrauding other Britons in the fraudulent resale of timeshare property in the province of Málaga.The manager and five telesales operators offered timeshares on the Costa del Sol for one or several weeks across many years, for large amounts of money. It seems the same timeshare rights were resold to different buyers several times, according to a statement from the main police station in Málaga.The case started after a complaint from a British person about a company based in Alhaurín el Grande.The company used several different names and closed down, only to reopen in Fuengirola.The six arrested will appear in court shortly.